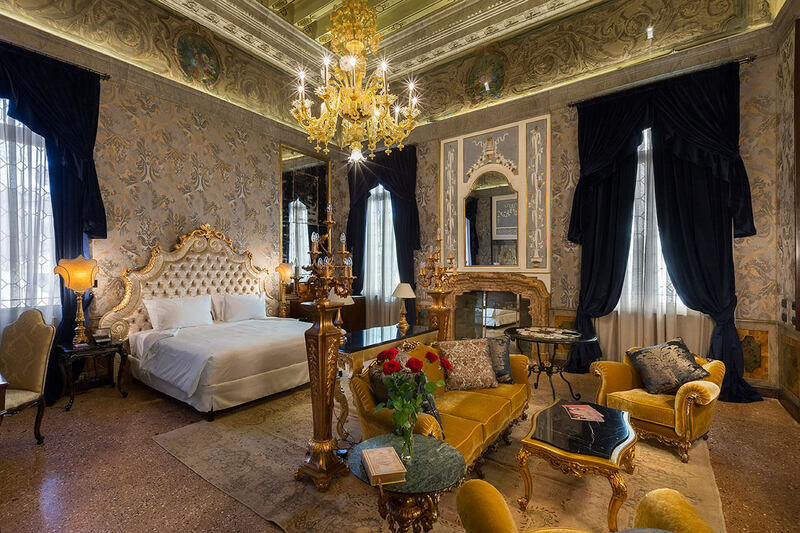 The Palazzo Venart Luxury Hotel in Venice has two Luxury Suite Open Plan rooms available for guests. The Luxury Suite Open Plan rooms are individually designed rooms with an average of 47m2 (505 ft2) in space. 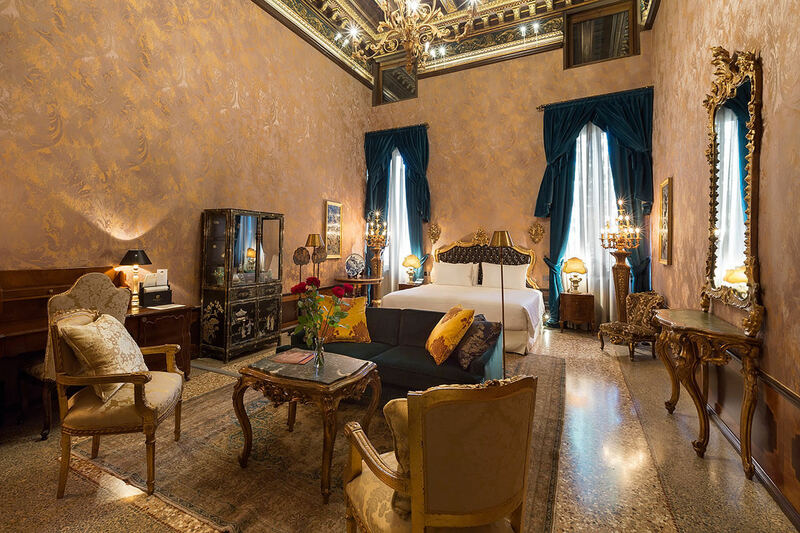 These generously sized rooms incorporate a king sized bed and sumptuous marble bathroom. Complementing the exquisite furnishing are luxury toiletries, minibar and complimentary mineral water at turndown, international satellite TV and Wi-Fi. For direct bookings of a Luxury Suite Open Plan (with a minimum stay 2 nights) we include in the room rate VIP (Venart Important Person) treatment consisting of airport transfer (2 ways) and a bespoke 1 hour guided tour.